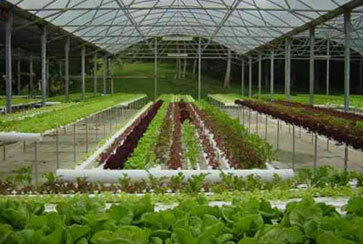 Hydroponics utilizes CO2 (Carbon Dioxide) Gas to maintain healthy plant life. Plant Growth... (CO2) Carbon Dioxide Systems greatly improve growth and quality of plants in the greenhouse. Increasing concentrations of the gas results in larger, healthier and faster-growing plants and lower operating costs, especially during the winter, when it can reduce heating costs by 50%. Carbon Dioxide (CO2) replaces gas generators, saving fuel costs and eliminating harmful emissions. Broward Nelson provides the Hydroponics industry with "One Stop Shopping" for their CO2 Tanks, CO2 Nozzles & CO2 Regulators. CO2 Gas Refills on Customer Owned Cylinders are available while you wait. Broward Nelson Sells and Leases a variety of CO2 Dispensing Equipment. We provide CO2 both High Pressure and Bulk to run CO2 Dispensers. Our service is second-to-none and our drivers are friendly and knowledgeable. Home Pickup and Delivery is available for a small charge additional charge. We believe in "ONE STOP SHOPPING" where one phone call will handle all your Hydroponics CO2 Dispensing needs! Please Click Here to view the Features we offer to Hospitals, Healthcare Facilities, Nursing Homes, School Cafeterias, Snack Bars & Lunchrooms.